When’s the last time you bought something online? This month? This week? Probably today? Online retail sales is a $409 billion business and growing each year. That staggering dollar amount has state and local governments looking for a way to cash in. For years there has been a battle between states and online retailers regarding when to collect sales and use tax for online purchases. 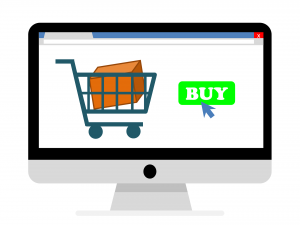 In the early 90’s, Quill Corp. v North Dakota set the precedent that an online seller had to have a physical presence in a state before sales tax was required to be collected. This past June however the US Supreme Court overturned that decision in South Dakota v. Wayfair Inc, paving the way for states to collect sales tax from out-of-state online vendors. With brick and mortar stores it’s easy to determine sales tax collection. Is your store located in Texas, for example? Then you must collect sales tax to remit them to the state of Texas. Collecting sales tax from online sales has been controversial for years though. In Quill v. North Dakota, the rule became your business had to have a physical presence in a state, like a warehouse, offices, or employees, before sales tax was required. This decision, of course, was made prior to companies like Amazon, eBay & Wayfair becoming the powerhouses they are. In fact, at that time only 2% of Americans had internet access. When online sales began to soar the issue became more complicated. If state & local governments could have collected sales tax payments from online out of state sellers last year they would have more than $13 billion in additional revenue, according to the Government Accountability Office. By overturning the Quill ruling, states are now allowed to collect sales tax from out of state companies when they conduct taxable transactions of goods and services delivered into their state. This has all eyes on Congress and state governments. The Wayfair decision allows states to become more aggressive in how they collect sales tax from online sellers and reexamine its state tax nexus decisions. SMALL ONLINE BUSINESSES: SHOULD YOU BE COLLECTING SALES TAX? ← What is a Strong Password?